Due to demand, the non-brokered private placement offering of up to 10,000,000 units at $0.05 per unit for gross proceeds of up to $500,000 previously announced in the Company’s news release April 4, 2019 (the “Private Placement”) has been increased to up to 15,000,000 units (the “Units”) at $0.05 per unit for gross proceeds of up to $750,000. The junior miner raised its offering to 15 million shares priced at $0.05 apiece for gross proceeds of $750,000. It had previously offered 10 million shares at the same price for $500,000. Global Energy Metals is focused on offering security of supply of cobalt, a critical material to the growing rechargeable battery market, by building a diversified global portfolio of cobalt assets including project stakes, projects and other supply sources. GEMC anticipates growing its business by acquiring project stakes in battery metals related projects with key strategic partners. 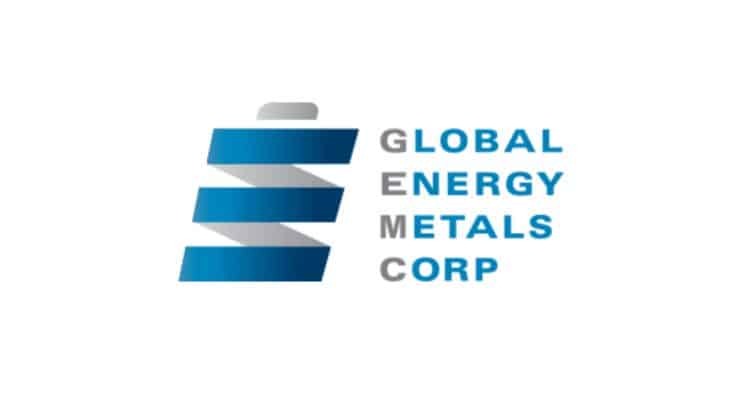 Global Energy Metals currently owns 70% of the Werner Lake Cobalt Mine in Ontario, Canada, has an option to acquire an 85% interest in two cobalt exploration projects in Nevada, 150km East of the Tesla Gigafactory, and has entered into an agreement to acquire 100% of the Millennium Cobalt Project and two neighbouring discovery stage exploration-stage cobalt assets in Mt. Isa, Australia.